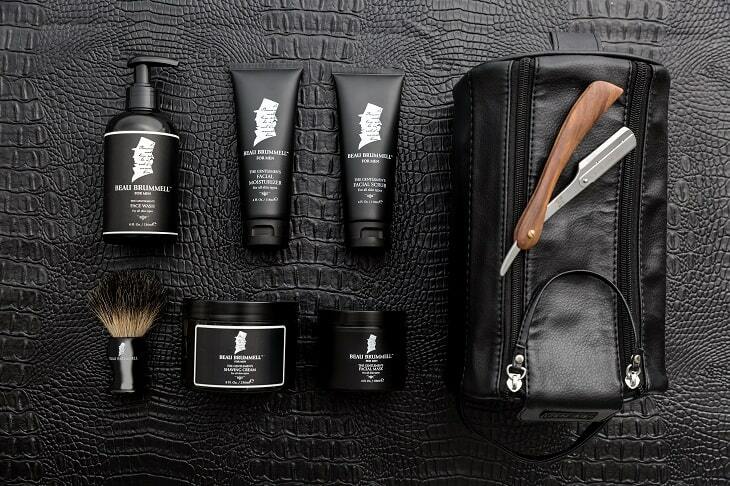 Over the years, I’ve tried out a multitude of men’s facial and grooming products. Some of the regimens were too complex for me to keep up with. I mean, let’s be honest; I’m not going to cleanse, exfoliate, use a moisturizer, an under-eye cream, a serum, a lip balm, and a sunscreen every single day. Others simply didn’t work and left me broken out or with red, irritated skin. Recently, I gave Beau Brummel for Men a try. The thing I initially liked about their products is that the “for Men” part of their name isn’t an afterthought; their line really is designed specifically for men. Rather than creating a unisex brand, they carefully designed products meant to detoxify, exfoliate, and moisturize men’s skin, which is thicker and firmer than women’s skin. I had pretty high expectations for a men’s skincare brand named after “the ultimate Regency metrosexual”. A fastidious groomer and impeccable dresser, Brummell was a tour-de-force and a heavy influence on men’s fashion in the early 19th century. It was Brummell himself who claimed that he was responsible for putting “modern man into pants, dark coat, white shirt and clean linen.” If this was true, I thought, the skincare line bearing his name has a lot to live up to. You know what? I wasn’t disappointed. 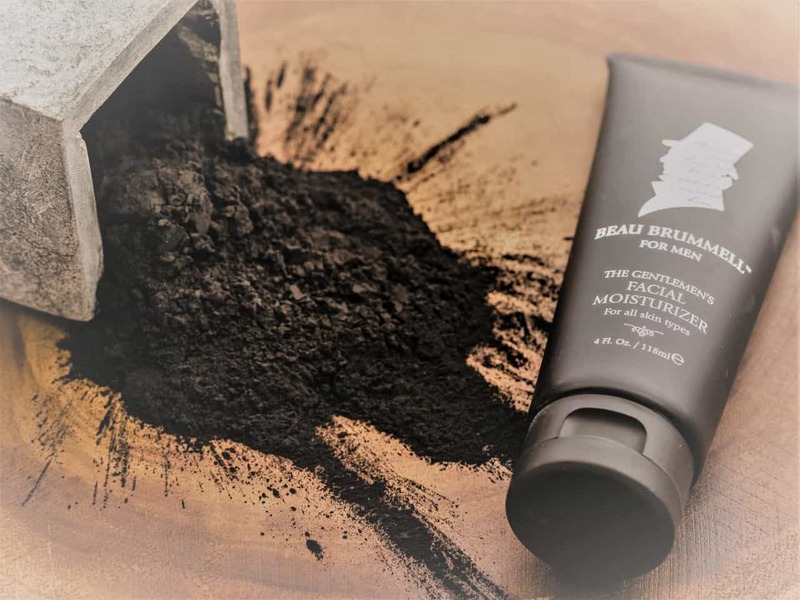 Because my skin tends to be incredibly oily, I was skeptical that Beau Brummell products would have enough power to cleanse it without completely stripping and irritating it. The entire line features activated charcoal, however – so much that all of its products have a grayish color. For those who are unfamiliar with activated charcoal, it acts as sort of a sponge that absorbs oils and other toxins, leaving skin feeling refreshed without drying it out. The goal of the Beau Brummell facial care line is simplicity. I cleanse with their Face Wash and rehydrate with their matte Moisturizer. They have a Face Scrub and Face Mask for when my skin needs a bit of extra care. Beyond that, The Gentleman’s Shaving Cream smells great and leaves my skin feeling smooth and soothed after each morning’s shave. I’ve finally found a brand that’s not only easy and enjoyable to use; it actually does what it promises. In addition to this, I love that Beau Brummell products are made in New York and contain no artificial colors, no parabens, and are cruelty-free. After moving through an entire constellation of men’s skincare brands, I think I’ve finally found a keeper!